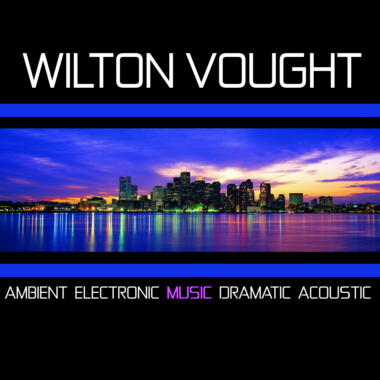 Wilton Vought writes, produces, and records music in more genres than you knew existed, including Rock, Folk, Latin, Electronic, Funk, Jazz, Urban, and New Age. He was featured in a PBS underwriter's spot which aired worldwide for the Tavis Smiley TV show, and his music can be heard on numerous Radio and TV commercials, web sites, and video games. Two of Wilton's songs that we're wild about are "Brand New Day" and "Metropulse" -- both of which are great for everything from corporate uses to ad campaigns, multimedia projects, and more. Contemporary pop music with a Chinese flair blends traditional and modern elements. Happy, sweet, and in the groove. B2B, documentaries, commercials, travel channel, romance, corporate branding, modern transformations, Asia, globe trekker. Wholesome, youthful, world fusion. Instrumental, Chinese, Chinese Pop Instr. Full Track - Chinese, Chinese Pop Instr.